MaeMae runs around the house calling, "Pet? Pet? Where is my pet?" 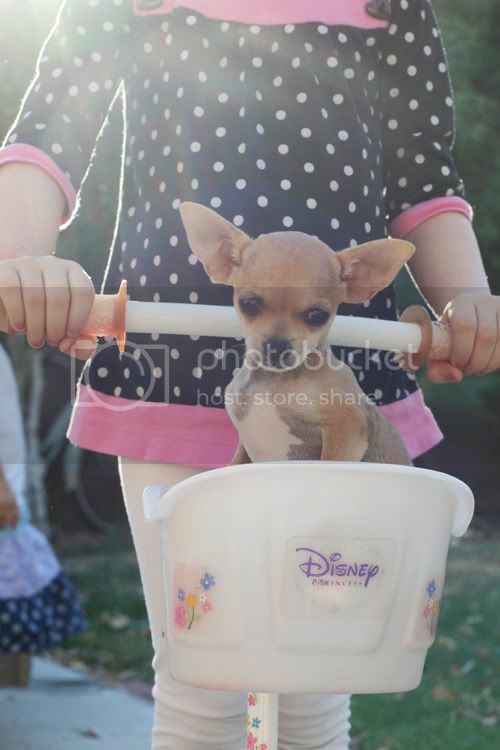 What she doesn't realize is that although this little Chihuahua is almost the cutest thing we have all seen - it is temporary - a way for us to rid these girls of their insistent all-animal-phobia. On Friday as we went to pick her up I asked the girls what her name should be thinking to my self that it should have a Spanish flair to it. 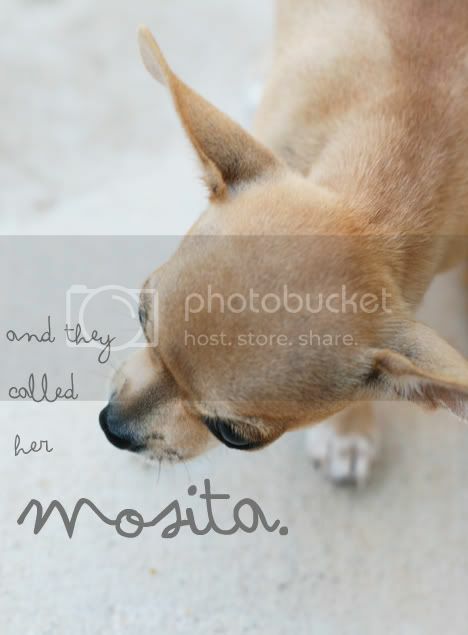 Blondes must have read my mind because she randomly and shockingly announced it should be "Mosita." Mae and I agreed on it. A family that breeds them allowed us to have little Mosita for the weekend and trust me it has been the perfect cure. 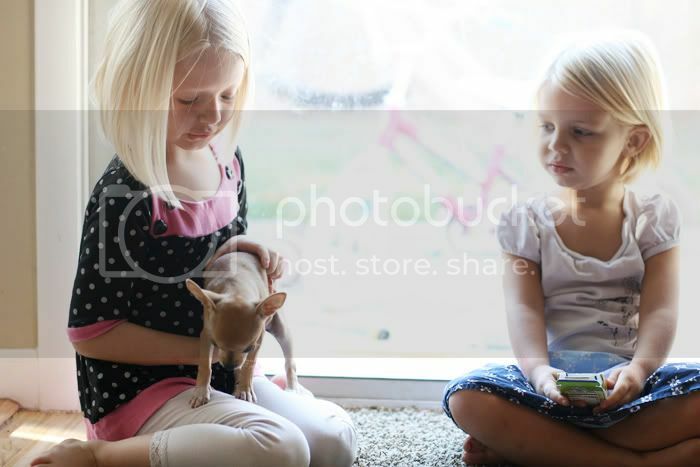 The first day Blondes wouldn't even stand on the floor when the pup was near and now she says to me, "Awe, I just love this Chihuahua Mom!" They are both a little depressed about having to bring her back today. I originally had the thought that we might keep her - and honestly I still do a little. Her affection is unconditional and the way she curls her little body into ours and sleepily drifts off is incredibly sweet. Overall I'm learning more and more why people have such a love for their dogs where I didn't really understand it before. But she is a puppy and she keeps pooping on my green rug (we think she thinks it is grass), she nips at my Roo, she whines in the night, and I'm afraid we are going to break her (ahem, GM). Overall, she is just another baby - and I'm sorry but the last thing I need right now is something else to leave sleep over - even as she is currently nestled at my feet under the desk cuddled up to a stuffed animal. how did you take her back? awww! how cute! good idea doing a trial run, it is life changing getting an animal. even if it is just a bunny like we just did!